Goalkeeper: Thibaut Courtois was rested for the FA Cup draw at Norwich over the weekend but the Belgian international is expected to get a recall between the sticks tomorrow night with Willy Caballero dropping out. Defence: David Luiz made his long-awaited comeback from a knee injury on Saturday and he came through the game unscathed but the Brazilian international is set to drop straight out of the team with Andreas Christensen starting in the middle of defence. Cesar Azpilicueta is also expected to start with Antonio Rudiger making way while Gary Cahill should make-up the back three as Conte goes full-strength against the Gunners. Midfield: We should see plenty of changes in midfield with Victor Moses and Marcos Alonso set for a recall in the wing-back positions after being rested at the weekend. Davide Zappacosta and Kenedy will therefore make way. N’Golo Kante is certain to start in the holding role and I think we’ll see Conte go with a three-man midfield in the middle of the park – just as he did during the 2-2 draw with Arsenal last week. 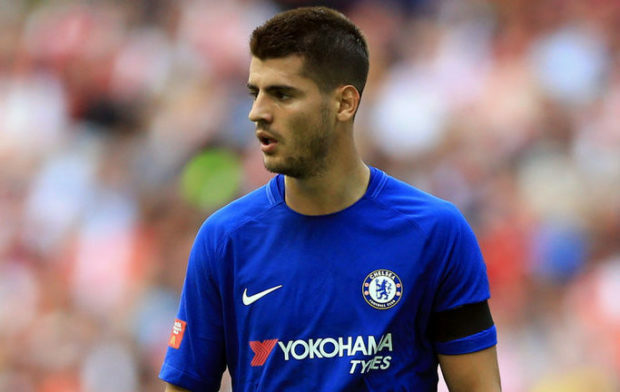 Cesc Fabregas should once again start against his former side with Danny Drinkwater dropping out as Tiemoue Bakayoko could keep his place ahead of the England international. 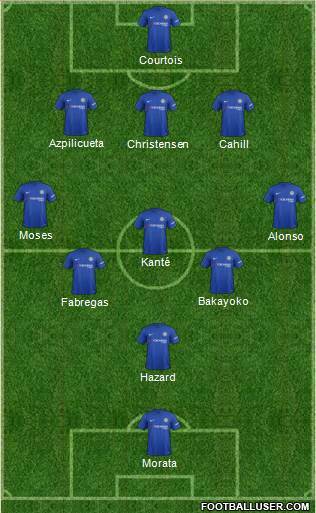 Attack: If Conte does go with three in midfield then it means he only has space for one attacking midfielder and Eden Hazard is expected to be that man after recovering from a minor calf injury that ruled him out of the Norwich game. That means Willian and Pedro will drop to the bench along with Michy Batshuayi after drawing a blank at the weekend with Hazard supporting Alvaro Morata. The Spanish striker had a nightmare against Arsenal in the league game recently so he’ll be hoping to make up for his misses at the Emirates by getting on the score-sheet tomorrow.